Home / Events / Toronto's Festival Of Beer! Spring Sessions! 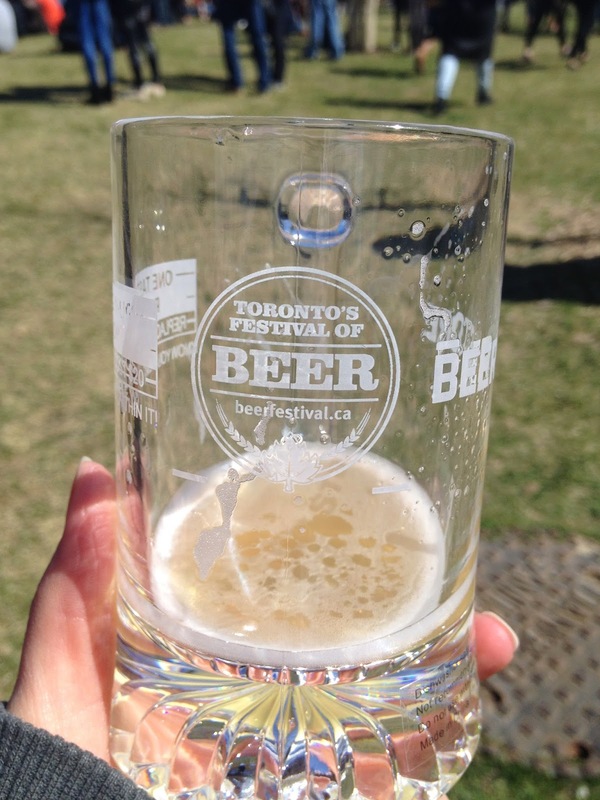 Toronto's Festival Of Beer! Spring Sessions! My first festival of the year and it was a good one! Located at the Sherbourne Common right on the shores of Lake Ontario, it was the perfect day for great beer and great music. A chilly 10C didn't stop the crowd; we had the sun, beer and food to keep us warm. All of the vendors and brewers were in good spirits in spite of the cold. Some food trucks were spread out and others had booths mixed in with the brewers. It was pretty crowded under the tents. The lines looked long, but they moved very quickly. JJ & The Pillars were awesome! Perfect tunes for having some brews and meeting new people. The crowd found their own grassy place to enjoy the beer, food and music. Speaking of meeting new people, I have to give a shout out to the blue sweater twins, Mike & Adrian. Just a couple of the interesting people we chatted with, all with a passion for beer! There were the usual breweries there, like Mill Street and Steamwhistle, but there were also some fresh faces. Brewers like Underdogs, Big Rig and Sierra Nevada were showing the big guns that they have an equal passion for beer. I was surprised I hadn't seen them before! They were a lot of fun and were happy to tell you their brewtales. When it comes to food, it was win-win. It didn't matter what you were in the mood for, it was there. 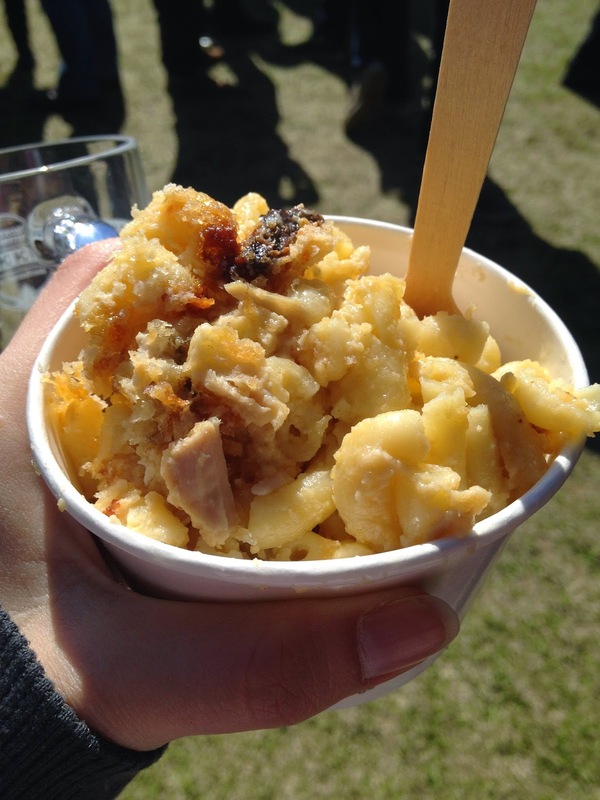 There were trucks and booths for everything from Mac & Cheese to Pulled Pork to Donuts. With the wind off the lake, this was place smelled great! The guys at M.e.n.u. kept the party going, when the band was taking a break, dancing away as they served. Love it! I'll definitely attend the Spring Sessions again. A great vibe as the festival goers come out of hibernation and enjoy one of the first outdoor events of Spring.